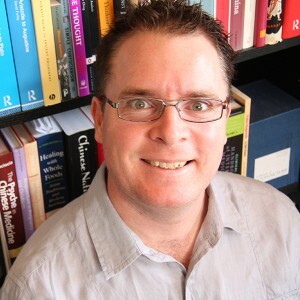 David Hartmann has been an Acupuncturist for over 20 years graduating from the Australian College of Natural Medicine (now Endeavour) in 1996. He has also completed a ‘Master of Acupuncture’ in 2009 through Southern Cross University. He has been a TCM lecturer for over 15 years in Australia as well as presented seminars throughout Australia, New Zealand, Germany, and the USA. David is also a published author. When I graduated at the end of 1996 and started treating patients full-time, I didn’t get patients coming to see me for emotional imbalances. In fact, the most common disorders I saw were musculoskeletal; mostly necks and low back problems. To be fair, they are still the two most common disorders I see in clinic. It seems like not much has changed in over 20 years. But something definitely has and that is the increased number of patients wanting treatment for emotional imbalances. Not just women either, I’m getting plenty of men who are opening up and wanting treatment for a range of emotional disorders including, but not limited to, depression, anger, anxiety and phobias. What I find disappointing though is that the literature and textbooks haven’t kept up with this trend, and so we, as Chinese medicine practitioners, find ourselves in a bit of a bind. We have patients wanting treatment for emotional disorders, but we have limited literature to teach us what to do; particularly for some of the more obscure emotions outside of the standard seven. Typical Zang Fu patterns along with a treatment for some of the more commonly seen in clinic. A general acupuncture point combination with an explanation for why the points were chosen. If you treat patients with emotions, or simply find the topic interesting, then join me for this amazing workshop! Presentation Title: Five Element Archetypes – Who do you think you are? Every one of us are born with a genetic makeup derived from our parents and ancestors. Within this genetic coding is a set of markers that pre-determines our growth, reproduction and development, plus our sexual maturation and puberty. This genetic make-up also gives us our personality both in terms of how we inherently view the world and then how we respond and react to this view. This can range from someone that is quick to anger; somebody who is too judgemental; a person who is unable to make decisions; or even someone who packs the house when they go on holidays. One of the best ways to view these personality traits is through the eyes of the Five Element archetypes. Initially this Chinese medicine theory was a philosophical school that emerged during the violent civil war called, rather appropriately, the Warring States Period (475-221BCE). The Five Element philosophers believed that everything in the universe was made up of five parts and this macrocosmic universe mirrored a person’s microcosmic world. Within the Five Element archetype system there are five different personality types. One of them will be your dominant element; there will be a second element that is a support-act, and you will be a small part of the remaining three. Understanding the Five Element archetypes helps you understand your patients better too, and this can only be a good thing. I also discuss how you communicate with each archetype. Acupuncture point combinations will also be provided throughout. Join me for this fascinating workshop!